Galvanized K Style rain gutters are built to last. Heavy gauge steel with a hot dipped zinc coating give this K Style rain gutter both strength and corrosion resistance. 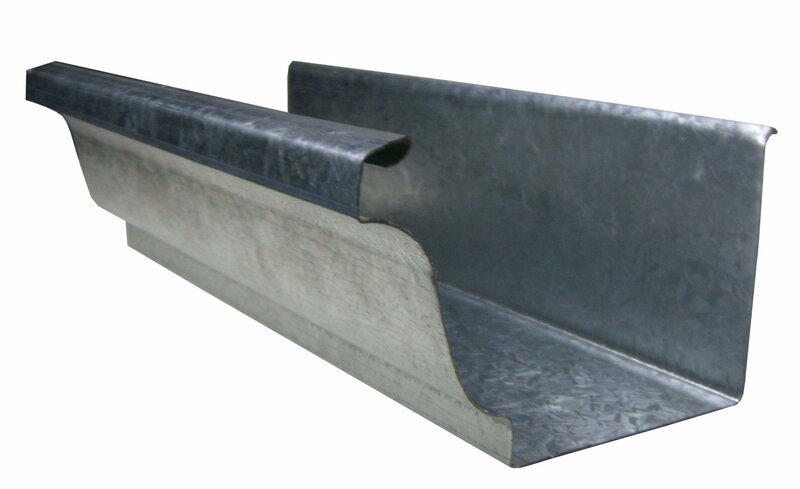 26 gauge gutter available in 5", 6", 7", and 8" in both 10 and 20 foot lengths. Call for 24 gauge as well as custom sizes and profiles.